The Congress on Sunday condemned the attack on journalists and parents by Haryana Police while demanding a CBI probe in the brutal murder of a seven-year-old student in Ryan International School. “Condemn the brutal attack on mediapersons at Gurgaon. 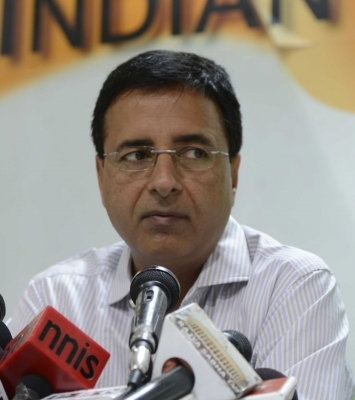 Second Attack by Haryana Police on media in 15 days,” said Congress spokesperson Randeep Singh surjewala on Twitter. “It is shameful that Achhe Din Khattar Sarkar wants to terrorise the press and beat up parents demanding justice,” he added. At least 50 people, including nine scribes and photo journalists, were injured when police baton-charged a group of people protesting the brutal murder of a seven-year-old student in Ryan International School in Gurugram and demanding the arrest of the school management. Plice used force to disperse the protestors who were agitating outside the school in Bhondsi in the wake of the murder of class 2 student Pradhuman, who was on Friday found in the washroom with his throat slit.